hearsoundswrite is a music blog covering indie and Americana music of all shapes and sizes. Started in 2007 out of Columbia and Charleston, South Carolina, it features, news, reviews, humor, and other ramblings about the aforementioned genres. 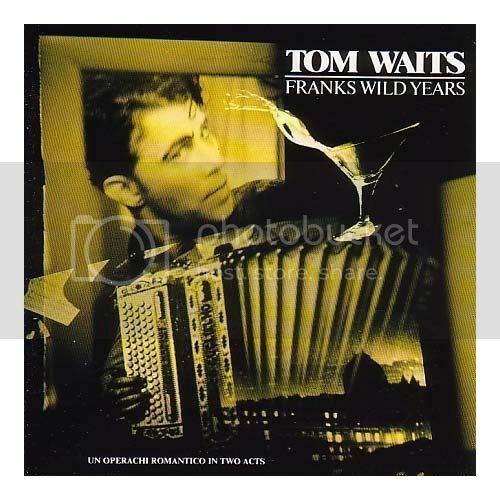 Tom's 80s trilogy culminated in a grand way: Franks Wild Years [sic] is not only a double album, but it soundtracks the Waits/Brennan-penned play of the same name. While it was never performed on Broadway, there's an overriding theatrical aesthetic that defines the album. While not as stylistically fractured as Swordfishtrombones, we do see Waits steadily shifting roles (lounge crooner, tenement-dwelling wailer, sneering devil). Again, that'll be the modus operandi from here on out. 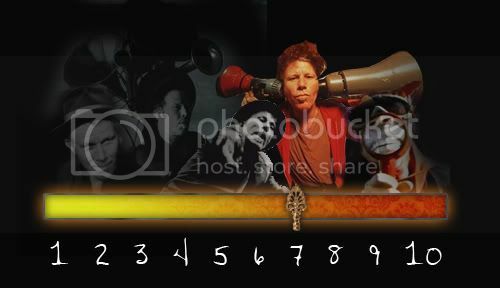 Waits' goal is no longer to fashion a singular feel to an album. Rather, he creates a world in which his unique songs are able to live and breathe. And such is Franks Wild Years. Songs to Know: Since it's stage music, the songs are dramatically embellished and expansive, despite variations in tempo, intensity, and style. Take a delicate creeper like "Blow Wind Blow", which is still theatrically adorned in a way that it achieves farther reach than aesthetically similar songs like "Chocolate Jesus" from Mule Variations. If you're a fan of The Wire, you already know one of the album's best songs. "Way Down in the Hole" is thematically uncomplex, an evangelical reminder that amidst Frank's exploits, he's got to "Keep the devil way down in the hole". Playing the role of that devilish foil floating above his other shoulder, "Temptation" broils at a menacing pace. Tom always offers up a ballad or two, and FWY is no exception. The difference here is we don't hear the tender whisper of, say, "Time" from Rain Dogs. "Innocent When You Dream" reeks of nostalgia, but Tom sounds more like a caterwauling Muppet than a lovelorn vagabond. The same goes for album-closer "Train Song", which is still the most digestible track on the album. Three tracks that I'd be remiss to go without mentioning: "Hang On St. Christopher", "Yesterday Is Here", and "Cold Cold Ground". Each is a unique and able representative of the album--cool, creepy, and cathartic, respectively. A review of just this trio will prepare you for the greater mix of styles you'll find on Franks Wild Years. 7: It still registers on the higher end of the scale, although that rating is inflated by a few oddities like shabby tenement anthems "Please Wake Me Up", and "Frank's Theme"; and "I'll Take New York", which sounds like Sinatra's famous "New York, New York", inebriated and stumbling down Broadway. Also Check Out: I mentioned Rain Dogs in my last entry. I also mentioned that I was going to dig out and old write-up I'd done of the album and post it. Upon excavation, I realized that it was pretty horribly written--if nothing else, it served as a benchmark to my progress as a writer. Point being, I will probably end up renovating it at some point and posting it for your consumption. But for now, just know that it's great and might still be his best work. Up next, Tom wipes off the stage make-up and takes to the junkyard.